Adramelzon the Charred Turntables 1 and 2 "Adramelzon the Charred" was a milestone sculpt to see how far I've come in the last year. 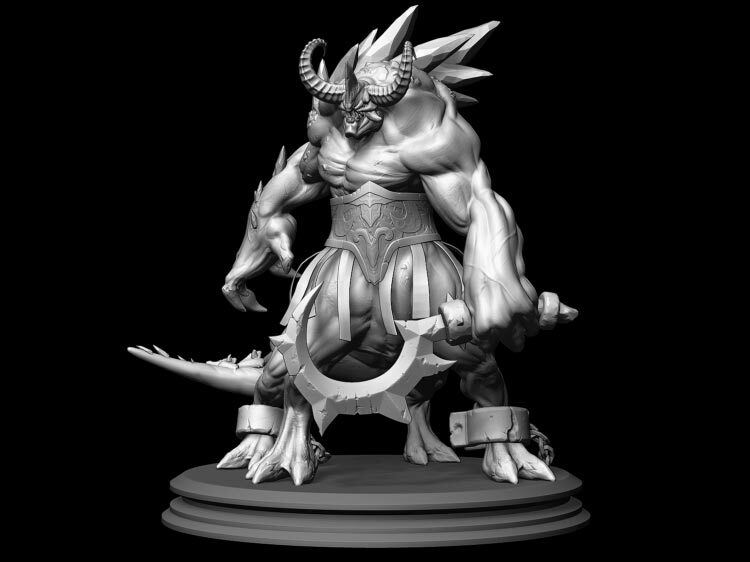 I wanted to create a brute and just started sculpting in ZBrush using DynaMesh without a definitive concept. It went through a lot of iteration, with many body and leg configurations, being able to duplicate a mesh and make huge changes without the need to retopologize is extremely liberating. With some influence from my favorite games such as Warcraft, I decided on the finished version. ARTIST PROFILE I graduated from the University of Bolton in July 2013 and got my first artist's position the same month at Clever Beans, Manchester, working on a new project. 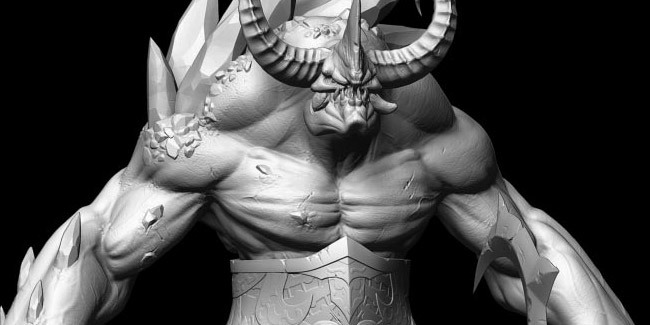 I first used ZBrush in early 2012 and have used it more consistently in recent times. Without any particular focus when I graduated I seem to have fell in love with character art, having your own idea or concept and following it through right to the final asset is massively rewarding. 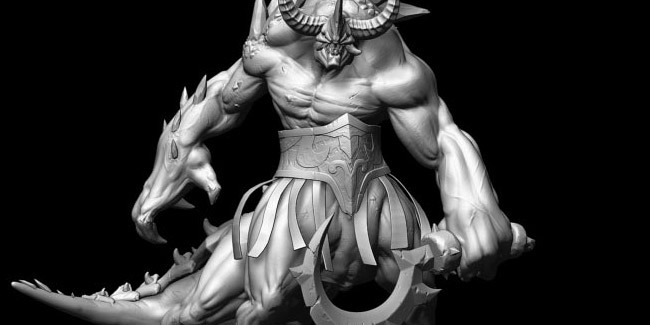 Email: lozzerw@hotmail.com Website: http://lancewilkinson.weebly.com/ THOUGHTS ON ZBRUSH Awesome! When I boot up ZBrush any artistic stress melts away. There is always a way to sculpt yourself out of a problem and it's usually very quick and easy to execute. ZRemesher is amazing and saves me a great deal of time making my base mesh sculpting friendly. I'm always eager to hear what Pixologic is cooking up next as they never fail to disappoint.